Your eyes do not deceive you. 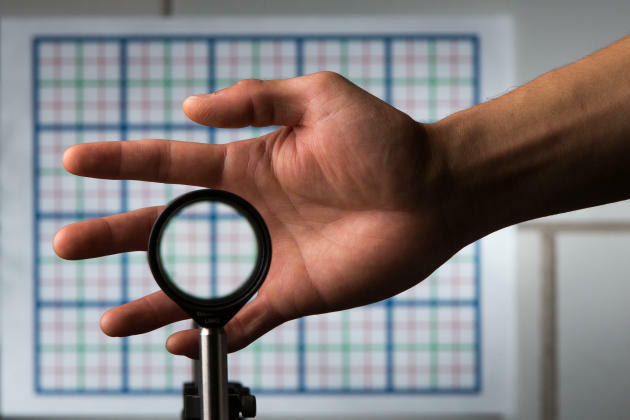 Researchers at the University of Rochester have created a new “invisibility cloak” that hides objects from plain site using everyday objects. The pictures above demonstrate exactly how the illusion works—and it’s mighty impressive. Imagine using this on a much larger scale to hide something important from prying eyes; maybe in the military. The new Harry Potter camouflage. The illusion has been created using “inexpensive, readily available materials in a novel configuration,” according to the college’s official site. Optical illusions are really nothing new, but it’s the way the team has gone about configuring the cloaking method that makes it so unique. Four standard lenses—two with f1 focal length and two with f2 focal length—are required to make the illusion a success, each two sets separated by the sum of their focal lengths; the two sets are then separated so that the two f2 lenses are t2 apart. 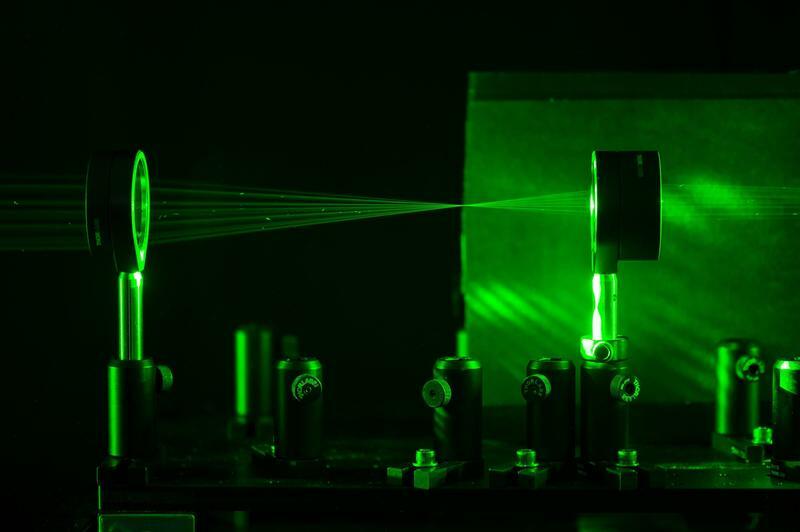 “This is the first device that we know of that can do three-dimensional, continuously multidirectional cloaking, which works for transmitting rays in the visible spectrum,” said Joseph Choi, a PhD student at Rochester’s Institute of Optics. While there have been many successful optical illusions in the past, Choi’s method allows users to shift their perspective while leaving the background undisturbed. Before, it would be obvious a cloaking illusion was being used, but the method created by Choi is pristine. The “perfect paraxial” cloak is achieved by maintaining matching grid sizes, meaning there’s no discontinuity in the background and the object being cloaked. While the inner Bond in all of us will be dreaming of the spy opportunities for Choi’s new cloaking method, there are much more practical uses. For one, imagine using this in surgery; the surgeon’s view will no longer be obstructed by their hands. 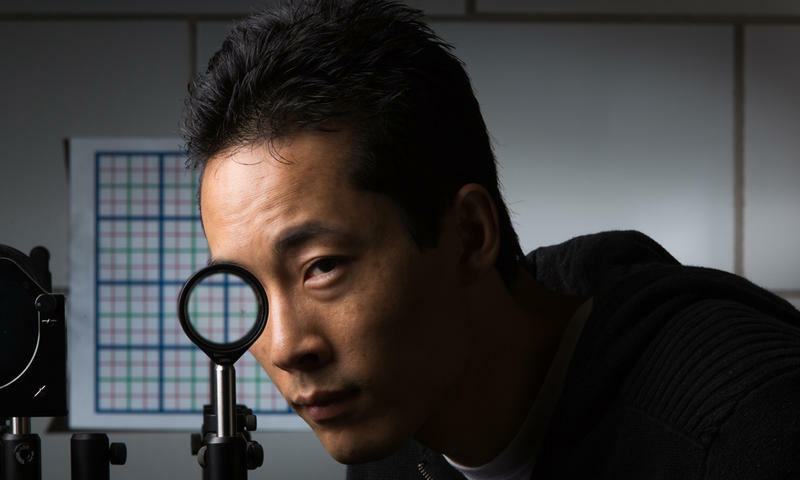 The method can be scalable to any size you can make the lenses, according to Choi, which means there’s potential to hide some really big objects. If you’re so inclined, you can make your own Rochester Cloak by following the steps on the site.